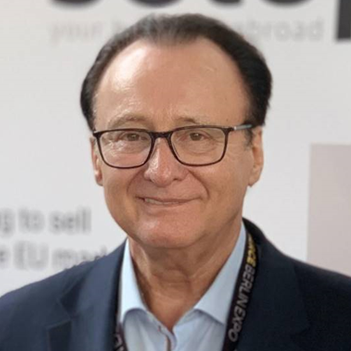 For online retailers of goods to consumers, the Fulfillment by Amazon (‘FBA’) service offers a quick and easy way to expand their market potential to the 28 Member State of the European Union and beyond. But selling across EU borders brings the responsibility to charge and remit Value Added Tax (‘VAT’) to each individual country. To help understand the potential obligations and how to satisfy them, amavat® can provide you with useful background on the EU rules for FBA, if you require. Are your customers based aboard? Are you selling over the distance selling threshold? Are you also using a foreign Amazon warehouse for holding stock? Are you based inside or outside the European Union? VAT Directive Each individual VAT identification number shall have a prefix in accordance with ISO code 3166 – alpha 2 by which the Member State may be identified. Czech Republic Czech VAT numbers have 10 characters (CZ + 8 digits) for legal persons. France French VAT numbers have 13 characters (FR + 11 digits). The last 2 digits constitute a control number. Germany There are two VAT numbers in Germany: the general tax number and the so-called EU VAT number (Ust-ldNr.) used for intra-EU transactions. German VAT numbers have 11 characters (DE + 9 digits). The last 2 digits constitute a control number. Italy Italian VAT numbers have 12 characters (IT + 11 digits). The first 7 digits identify the taxpayer, the eighth and the ninth ones correspond to the tax agency and the last one constitutes a control number. Poland There are two VAT numbers in Poland. The “regular” VAT number and a so-called “EU” VAT number used for intra-EU transactions. Polish EU VAT numbers have 12 characters (PL + 10 digits). Spain There are two VAT numbers in Spain. The “regular” VAT number and a so-called “EU” VAT number used for intra-EU transactions. Spanish EU VAT numbers have 11 characters (ES + 1 letter + 8 digits). UK UK VAT numbers have 11 characters (GB + 9 digits). VAT Directive Member State must apply a standard VAT rate (not lower than 15%) which must be the same for the supply of goods and for the supply of services. Member State may apply either one or two reduced rates (not lower than 5%) only to supplies of goods or services as listed in the Annex III of the VAT Directive. Austria Austria applies a standard VAT rate of 20% and two reduced VAT rates: 10% and 13%. Czech Republic Czech Republic applies a standard VAT rate of 21% and two reduced rates of 10% (since 01.01.2015) and 15%. Finland Finland applies a standard VAT rate of 24% and two reduced VAT rates: 10% and 14%. France France applies a standard VAT rate of 20% and three reduced VAT rates: 2,1%, 5,5% and 10%. Germany Germany applies a standard VAT rate of 19% and one reduced rate of 7%. Italy Italy applies a standard VAT rate of 22% and three reduced VAT rates: 4%, 5% and 10%. Luxembourg Luxembourg applies a standard VAT rate of 17% and three reduced VAT rates: 3%, 8% and 14%. Netherlands Netherlands applies a standard VAT rate of 21% and one reduced VAT rate: 6%. Poland Poland applies a standard VAT rate of 23% and two reduced VAT rates: 5% and 8%. Slovakia Slovakia applies a standard VAT rate of 20% and one reduced VAT rate: 10%. Spain Spain applies a standard VAT rate of 21% and two reduced VAT rates: 4% and 10%. Sweden Sweden applies a standard VAT rate of 25% and two reduced VAT rates: 6% and 12%. UK The United Kingdom applies a standard VAT rate of 20% and one reduced rate of 5%. Some goods and services are also taxed at a zero rate. VAT Directive The tax period shall be set by each Member State at one month, two months or three months. Member State may, however, set different tax periods provided those ones do not exceed one year. Czech Republic Monthly/Quarterly – Your company has to report its VAT position by filing periodical VAT returns on a monthly basis (standard tax period). Quarterly reporting period may be allowed provided the turnover in the previous calendar year did not exceed CZK 10 million. This option is however not possible for the first two years after registering for VAT. France Monthly/Quarterly – Under the normal regime, your company has to report its VAT position by filing periodical VAT returns on a monthly basis. Quarterly or seasonal filing can also be opted for under conditions. Germany Monthly/Quarterly – Your company has to report its VAT position by filing preliminary VAT returns on a monthly basis where (net) VAT due in previous calendar year exceeds the amount of €7.500 (and also within the first two years for newly incorporated companies). Preliminary VAT return has to be filed quarterly if (net) VAT due in previous calendar year is lower than €7.500. If the net VAT due in the previous calendar year did not exceed €1.000, no preliminary VAT returns have to be filed but only the annual VAT return. Italy Yearly – The tax period is one year (standard tax period). Your company has to report its VAT position by filing a yearly VAT return. No periodical VAT returns have to be filed. Poland Monthly/Quarterly – Your company has to report its VAT position by filing periodical VAT returns (VAT-7) on a monthly basis (standard tax period). Quarterly reporting period can be opted for under specific conditions. Spain Monthly/Quarterly – Your company has to report its VAT position by filing VAT returns on a quarterly basis if your annual turnover in the preceding year did not exceed €6.010.121 and on a monthly basis otherwise. Returns also have to be filed on a monthly basis when your company is registered in the Special Monthly Refund Register (REDEME). UK Monthly/Tri-Monthly/Yearly – Your company has to report its VAT position by filing periodical VAT returns on tri-monthly basis (three months which do not necessarily correspond to a calendar quarter). Monthly reporting period can be opted for in case your company is regularly in a VAT receiving position. Opting for a yearly reporting period is also possible under conditions (VAT annual accounting scheme). VAT Directive The VAT return shall be submitted by a deadline to be determined by Member State. That deadline may not be more than two months after the end of each tax period. Czech Republic Periodical VAT returns must be filed by electronic means (since 1/1/2014) to Czech VAT authorities before the 25th day of the month (25 of N+1) following the tax period (month/quarter) to which it relates. Germany Preliminary VAT returns must be filed by electronic means via “Elster” to German VAT authorities before the 10th day of the month (10 of N+1) following the tax period (month/quarter) to which it relates. It is possible to apply for a permanent time prolongation of one month which requires a special prepayment. The amount is calculated as 1/11 of the VAT due in the previous year and is set off against the VAT liability of December. Italy Annual VAT returns must be filed by electronic means before 30th September of next year. Poland Periodical VAT return must be submitted by electronic means or paper to Polish VAT authorities before the 25th day of the month (25 of N+1) following the tax period. Spain Periodical VAT return must be submitted by electronic means before the 20th day of the month (20 of N+1) after the tax period to which it relates. The VAT return for Q4 and for the month of December must however be filed by 30th January of the following year. UK Your company has to file periodical VAT returns by electronic means before the 7th day of the second month (7 of N+2) following the tax period (e.g. tax period ending in 31st March => deadline: 7th May). VAT Directive Member State may require the taxable persons to submit a return in respect to all transactions carried out in the preceding year. That return shall provide all the information necessary for any adjustments. Czech Republic No – Your company is not required to file any summarising annual VAT return in the Czech Republic. France Your company is not required to file any summarising annual VAT return in France. Germany Your company has to file an annual summary return (Umsatzsteuererklärung) in Germany. The Statement should be filed by electronic means before 31st May of the next calendar year. A filing extension (up to 31st December) can be obtained upon request. Italy Your company is required to submit an annual VAT return by the end of September of the next calendar year. In case the annual VAT return is submitted by the end of February there is no need to file the annual VAT communication. Poland Your company is not required to file any summarising annual VAT return in Poland. Spain Your company has to file a yearly statement (annual VAT return – Modelo 390) summarising all taxable transactions performed/received during the calendar year plus additional information no later than 30th January. UK No – Your company is not required to file any summarising annual VAT return in the United Kingdom. VAT Directive The recapitulative statement shall be drawn up for each calendar month. However, Member State, in accordance with the conditions and limits which they may lay down, may allow taxable persons to submit the recapitulative statement on each calendar quarter where the total quarterly amount of intra-EU supplies of goods does not exceed either in respect of the quarter concerned or of any of the previous four quarters the sum of €50.000 or its equivalent in national currency. The recapitulative statement shall be submitted within a period not exceeding one month. Czech Republic The recapitulative statement (ESL) must be drawn up for each calendar month and must be submitted to local VAT authorities by the 25th of the month after the end of the reporting period (month). Filing the statement on a quarterly basis is not possible. France The recapitulative Statement (D.E.B.) must be drawn up for each calendar month and submitted to French VAT authorities by the 10th of the month after the end of the reporting period (month). Filing the Statement on a quarterly basis is not possible. Germany The recapitulative Statement (ESL) must be filed on a quarterly basis provided the intra-Community of goods do not exceed €50.000 in the current calendar quarter and the past four calendar quarters. If the above threshold is exceeded, the Statement must be filed on a monthly basis. The Statement must be filed by the 25th of the month following reporting period (month/quarter). Italy The recapitulative statement (ESL) must be drawn up for each calendar month. Taxpayers can however opt for filing the Statement on a quarterly basis provided the intra-EU transactions do not exceed €50.000 within the past four quarters. The statement has to be filed before the 25th day of the month following the reporting period (month/quarter) to which it relates. Poland The recapitulative statement (ESL) must be drawn up for each calendar month. Taxpayers can however opt for filing the statement on a quarterly basis under specific conditions. ESL must be filed by electronic means no later than the 25th day of the month following the reporting period (month/quarter) to which it relates. Spain The recapitulative Statement (ESL – VIES return) must be drawn up for each calendar month and submitted to Spanish VAT authorities by the 20th of the month following the reporting period (month/quarter), except for the last statement of the year (December or Q4) which is due on 30th January of next calendar year. Yearly reporting period is also possible under specific conditions. UK Your company is required to submit ESL by electronic means for each calendar quarter (but may choose to submit monthly if you prefer) provided your intra-EU supplies of goods have not exceeded GBP 35.000 within the current or four previous quarters. If your company exceeds the above threshold, you must submit the ESL on a monthly basis. The deadline for submitting ESL to HMRC, for all frequencies of submissions are within 21 days of the end of the reporting period. VAT Directive Any taxable person liable for the payment of the VAT must pay the net amount of the VAT when submitting the VAT return. Member State may, however, set a different date for payment of that amount. Czech Republic The VAT due should be paid by the filing deadline for the VAT return (25th of the month following the tax period). France VAT due should be paid by the filing deadline for the VAT return. Germany The VAT due should be paid by filing deadline for the preliminary VAT return no later than the 10th day of the month after the end of the tax period (month/quarter) to which it relates. If the tax due on the basis of the annual VAT return exceeds the interim payments or no provisional returns were submitted, the balance due must be paid within one month following submission of the annual VAT return to the tax office. Late payment causes surcharges of 1% of the net tax payable. Italy In case VAT due results from the annual VAT return, payment should be made before 16th March of the next year. Poland The VAT due should be paid by filing deadline for the VAT return – no later than the 25th day of the month after the end of the tax period (month/quarter) to which it relates. Spain The VAT due should be paid by filing deadline for the VAT return (no later than the 20th day of the month after the end of the tax period -month/quarter) to which it relates. UK The deadline when your electronic payment should clear into HMRC’s bank account is usually the same as the deadline for your return. You should check with your bank how long it will take for your payment to clear into HMRC’s bank account as some methods of payment do not operate over the weekend or on bank holidays. VAT Directive Member State may require interim payment to be made. Czech Republic Interim payments are not required in the Czech Republic. Germany The payment made on the basis of the monthly or quarterly provisonal returns are actually interim payments. Italy Periodical VAT calculations (liquidazioni IVA). Interim payments are due on a monthly or a quarterly basis. The VAT due must be paid before the 16th day of the month following the period (or the 16th day of the second month following the quarter). Poland Taxpayers filing VAT returns on a quarterly basis must process monthly interim payments (“Pre-Payments Option”). Payment should be filed by the 25th day of the second and third months of the quarter in the amount of 1/3 of the tax due for the previous quarter. A taxpayer may also opt for calculating the interim payments monthly on the basis of transactions actually carried out in a given month (Actual Payments Option). Spain Interim payments are not required. UK Interim payments are not required (unless in case of annual VAT return or for every VAT registered company filing quarterly VAT returns but with annual VAT liability of more than £2.3 million, it is required to make payments on account). VAT Directive Where, for a given tax period, the amount of deductions exceeds the amount of VAT due, Member State may, in accordance with conditions which they shall determine, either make a refund or carry the excess forward to the following period. However, Member State may refuse to refund or carry forward if the amount of excess is insignificant. Czech Republic There is no automatic carry-forward mechanism in the Czech Republic. Refund is done immediately (generally within one month from the deadline for submission of the VAT return) provided that the amount exceeds CZK 100. France A VAT credit is in principle automatically carried forward to the next tax period, unless a tax refund has been applied for. Germany No carry-forward mechanism. Refund is done immediately (generally within one month from the deadline for submission of the annual VAT return). Italy A VAT credit resulting from a periodic VAT settlement or from the annual VAT return is in principle automatically carried forward to the next period, unless a tax refund has been applied for. Poland A VAT credit is in principle automatically carried forward to the next period, unless a tax refund has been applied for. Spain A VAT credit is in principle automatically carried forward to the next period, unless a tax refund has been applied for. Under the general procedure, your company may only apply for the refund in the last VAT return of the year. UK No carry-forward mechanism. Refund is done immediately by submitting the periodic VAT return. Optional reverse charge (art. 194 of the VAT Directive) for non-resident supplier. VAT Directive Member State in which the VAT is due may provide that the person liable for the payment of VAT is the person to whom the goods or services are supplied where the transaction is carried out by a taxable person who is not established in the country in which the VAT is due. Czech Republic No. Reverse charge is not applicable to domestic supplies of goods (except for supply of goods with installation). France Yes. Reverse charge mechanism is applicable on all domestic supplies of goods carried out by a non-established supplier (whether he is VAT registered or not in France) provided the recipient is VAT registered in France. Germany No. Reverse charge is not applicable on major supplies of goods (with exception for specific items). Italy Reverse charge is applicable to all supplies of goods carried out by a taxpayer not established in Italy provided the customer is a taxpayer established in Italy. Poland Reverse charge is applicable provided the customer is established and VAT registered in Poland. In case the foreign supplier is VAT registered in Poland (he has opted for or has other activities for which he needs a VAT number), reverse charge is no more applicable. Spain Reverse charge is applicable to all supplies of goods carried out by a non-established taxpayer provided the recipient is a taxpayer (whether he is established or not in Spain). The reverse charge is therefore also applicable between two non-established taxpayers. UK No. Reverse charge is not applicable on major supplies of goods (with exception for specific items). Optional reverse charge (art. 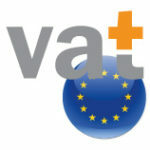 194 of the VAT Directive) for non-resident provider. Czech Republic Yes. Reverse charge is applicable to all domestic supplies of services provided the customer is VAT registered (regardless established or not) in the Czech Republic. France Yes. Reverse charge mechanism is applicable on all supplies of services carried out by a non-established supplier (whether he is VAT registered or not in France) provided the recipient is VAT registered in France. Germany Yes. Reverse charge mechanism is applicable to major domestic supplies of services (except for admission to trade fairs, exhibitions and conferences and other specific items). Italy Reverse charge is applicable to all supplies of services carried out by a taxpayer not established in Italy provided the customer is a taxpayer established in Italy. Poland Reverse charge is applicable on all services provided the customer is established and VAT registered in Poland. In case the supplier is VAT registered in Poland, reverse charge for services connected with immovable property is no more applicable. Spain Reverse charge is applicable to all domestic supplies of services carried out by a provider not established in Spain (whether he is VAT registered or not in Spain) to a taxpayer established for VAT purposes in Spain. UK No. No simplification measures are available for consignment stock. Foreign taxpayers are therefore required to be registered for VAT purposes in the United Kingdom to report a deemed intra-EU acquisition of goods and charge British VAT on the subsequent supply of goods to final client. Germany No. No simplification measures are available for consignment stock. Foreign taxpayers are therefore required to be registered for VAT purposes in Germany. Special rules are however applicable for commissionaire agreement. Spain No. No simplification measures are available for consignment stock. Foreign company must be registered in Spain merely for the submission of the European Sales and Purchases Listing. The subsequent supply of goods is subject to normal VAT rules (general reverse charge). Czech Republic Yes. Special arrangements apply for call-off-stock. Foreign taxpayers are therefore not required to be registered in the Czech Republic provided the conditions are met. Germany No. No simplification measures are available for call-off-stock. Foreign taxpayers are therefore required to be registered for VAT purposes in Germany. Special rules are however applicable for commissionaire agreement. Italy Yes. Special arrangements apply for call-off-stock. Foreign taxpayers are therefore not VAT required to be registered in Italy provided the conditions are met. Spain No. No simplification measures are available for call-off-stock. Foreign company must be registered in Spain merely for the submission of the European Sales and Purchases Listing. The subsequent supply of goods is subject to normal VAT rules (general reverse charge). UK Yes. Simplification measures apply for call-off-stock. Foreign taxpayers are therefore not required to be VAT registered in the United Kingdom provided the conditions are met. Triangulation can be applied when the middleman (B) is VAT registered (as a non-established company) for others supplies in the 3rd country (Member State of destination)? France Triangulation regime ABC cannot be applied when the middleman B is also VAT registered in France (Member State). Furthermore, triangulation scheme is not applicable in chain transaction involving four or even more parties. Germany Triangulation regime can be applied even if the middleman B is VAT registered as a non-established company in Germany (Member State C). The special regime is also applicable if more than three parties are involved, provided the last three parties in the chain fulfill the requirements for the triangulation scheme. Italy Triangulation simplification measures can be applied even if the middleman B is VAT registered as a non-established company in Italy (Member State C). Poland Triangulation simplification measures can be applied even if the middleman B is VAT registered as a non-established company in Poland (Member State C). UK Triangulation simplification measures cannot be applied even if the middleman B is VAT registered as a non-established company in the United Kingdom (Member State C). VAT Directive Member State may exempt the importation of goods and the supply of goods which are intended to be placed under warehousing arrangements other than customs warehousing. Czech Republic No. The Czech Republic has not introduced VAT warehousing regime. France Yes. France has introduced VAT warehousing regime. Germany Yes. Germany has introduced VAT warehousing regime applicable under specific conditions. Italy Italy has introduced VAT warehousing regime applicable under specific conditions. Spain Spain has introduced a VAT warehousing regime applicable under specific conditions. UK The United Kingdom has introduced VAT warehousing regime applicable under specific conditions. VAT Directive Member State may provide that VAT on importation does not need to be paid at the time of importation on condition that it is entered as such in the VAT return to be submitted. Czech Republic Yes. Postponed accounting via the VAT return is automatically applied provided the importer is registered for VAT purposes in the Czech Republic at the time of import. France Yes. Since 01/01/2015, a new postponed accounting via the VAT return is available in France. Under specific authorization (“Procedure de domiciliation unique”) payment of French VAT on import could be postponed into the VAT return. A deferred payment for VAT and customs (similar delay) is however possible under specific conditions (“crédit d’enlèvement”). Germany No. Postponed accounting via the VAT return is not possible in Germany. Import VAT needs to be paid to the customs authorities upon importation (immediate payment). A deferred payment for VAT and customs (similar delay) is however possible under specific conditions. Italy Postponed accounting via the VAT return is not possible in Italy. Import VAT needs to be paid to the customs authorities upon importation (immediate payment). A deferred payment for VAT and customs (similar delay) and additional delay for import VAT are however possible under specific conditions. Poland Postponed accounting via the VAT return is possible. A deferred payment for VAT and customs (similar delay) is also possible under specific conditions. Spain Postponed accounting via the VAT return is possible in Spain (01/01/2015). A deferred payment for VAT and customs (similar delay) or only for VAT is also possible under specific conditions. UK Postponed accounting via the VAT return is not possible in the United Kingdom. A deferred payment for VAT and customs [similar delay] is however possible under specific conditions. The VAT rates and regulations differ greatly from one country to another, and change regularly. The table below shows the different VAT rates (normal, reduced, highly reduced, and parking rates) which are in effect within each of the different Member State of the European Union. Exemptions with the right to reimbursement (rate of zero) do not appear in the table below. This information is correct at the time of publishing (January 2018) but may change at any time. This listing is produced for general guideline purposes only – for detailed information about any particular country and/or threshold, please contact us.